Usw this 1984-1993 Mustang Pro Shift super servo to get firmer shifts in your AOD equipped Fox Body. These 6061-T6 billet aluminum servos and covers provide positive shifts, while increasing clutch and band life and eliminating warpage. They use minimal transmission fluid in the 1-2 and 2-3 shifts to ensure firm, hard shifts with reduced 2-3 flare-up. 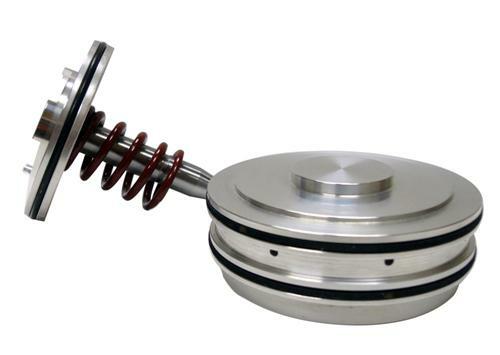 Performance Automatic gave the servos permanent lip-style seals to conform to various case bores, and the cover includes an O-ring for additional sealing.